Dr. Dan Zhang is Full Professor and Canada Research Chair in Robotics and Automation, founding Chair of the Department of Automotive，Mechanical, and Manufacturing Engineering with the Faculty of Engineering & Applied Science at University of Ontario Institute of Technology. He received his Ph.D. in Robotics and Mechatronics from Laval University, Canada, in June 2000. Dr. Zhang's research interests include robotics and mechatronics; high performance parallel robotic machine development; sustainable/green manufacturing systems; micro/nano manipulation and MEMS devices (sensors), micro mobile robots and control of multi-robot cooperation, intelligent servo control system for the MEMS based high-performance micro-robot; web-based remote manipulation; rehabilitation robot and rescue robot. Dr. Zhang has published 205 journal and conference papers, 4 books, 7 book chapters and numerous other technical publications. He is the editor-in-chief for International Journal of Mechanisms and Robotic Systems, the editor-in-chief for International Journal of Robotics Applications and Technologies, Associate editor for the International Journal of Robotics and Automation (ACTA publisher) and guest editors for other 4 international journals. Dr. Zhang serves member of Natural Sciences and Engineering Research Council of Canada (NSERC) Grant Selection Committee. 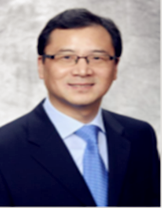 Dr. Zhang was director of Board of Directors at Durham Region Manufacturing Association, Canada, and director of Board of Directors of Professional Engineers Ontario, Lake Ontario Chapter, Canada. Dr. Zhang is a registered Professional Engineer of Canada, a Fellow of the Engineering Institute of Canada (EIC), and a Fellow of (Canadian Society for Mechanical Engineering) CSME, a Senior Member of Institute of Electrical and Electronics Engineers (IEEE), a Senior Member of SME, and ASME member.